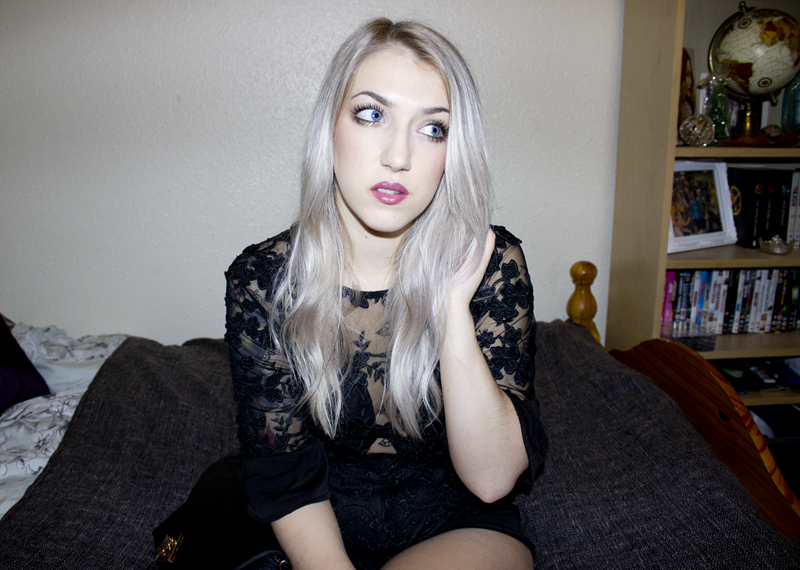 It isn’t that often these days that I actually go out properly – you know, dressed like an actual lady. On occasion I will use the flimsy excuse of it being a Saturday to get really dolled up, but most of the time I can be found down the pub in a pair of jeans and some flat boots. So glam. But now we are into December, which means it is officially party season, which means plenty of excuses!! Which makes me pretty happy. 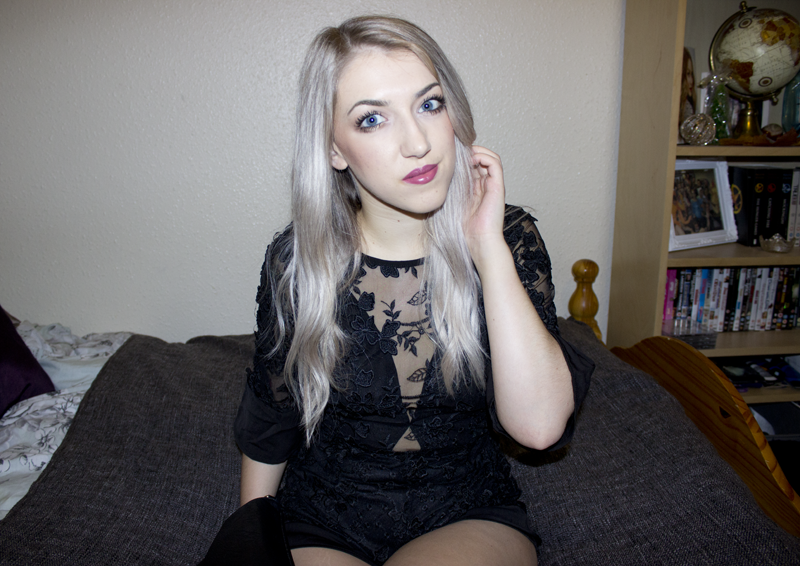 Recently the Manchester based brand Luxemme sent me this absolutely stunning playsuit, which also made me happy. As soon as I tried it on, I fell in love. I have a habit of wearing black, black, and more black, but attempting to mix up textures a little bit to make things more interesting. The lace detailing on this is lovely, and the shape is so flattering. I really love the cut of the sleeves! I am going to wear this out the first opportunity I get to go out out… most likely paired with a blazer.